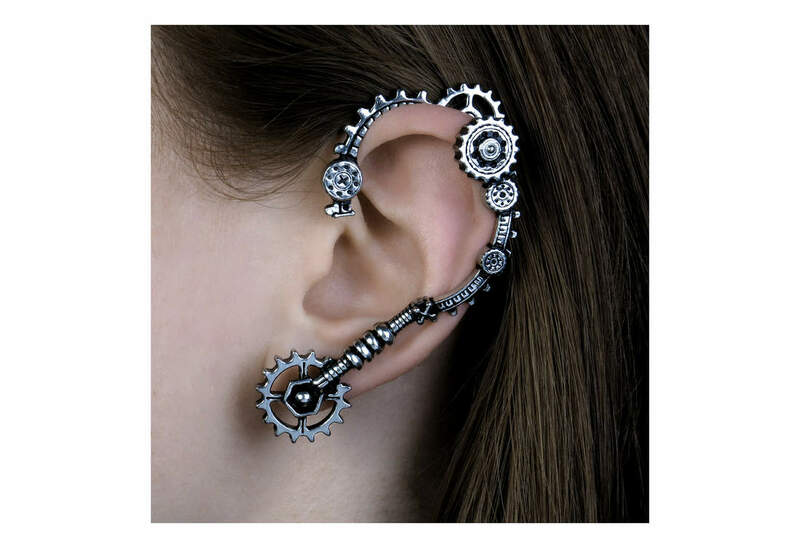 3D cast earwrap with Steampunk rivet design for the left ear brings out the inner mental in engineering. 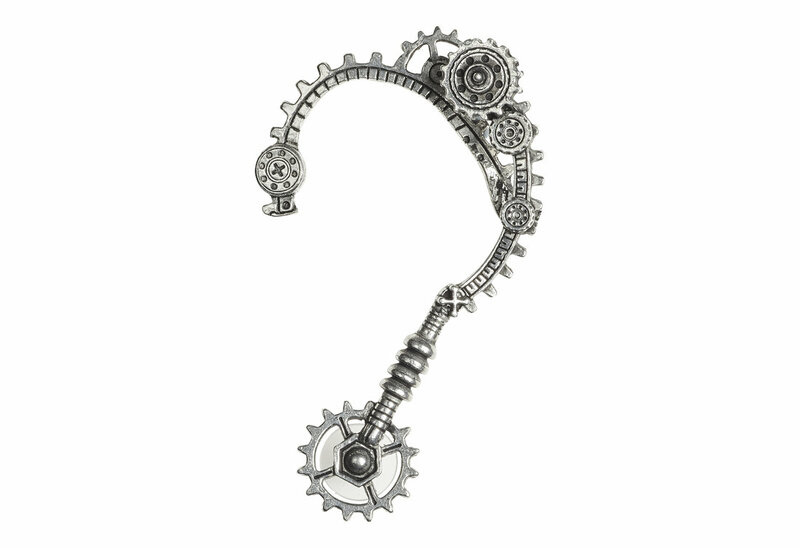 The cogs and parts are not functional. This piece measures approximately 2.87 inches high, 1.73 inches wide, and 0.67 inches deep. It's made of fine English pewter with surgical steel post. 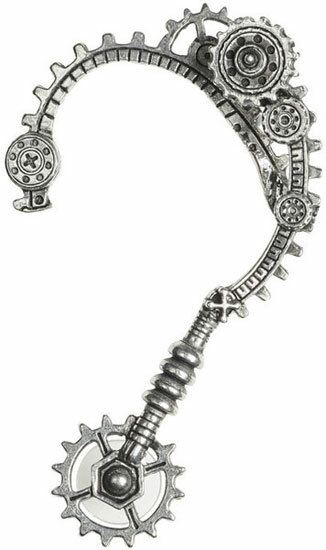 Single earring. By Gothic Alchemy.